Scrapping ancient cables and useless gadgets feels good, they should have gone long ago. 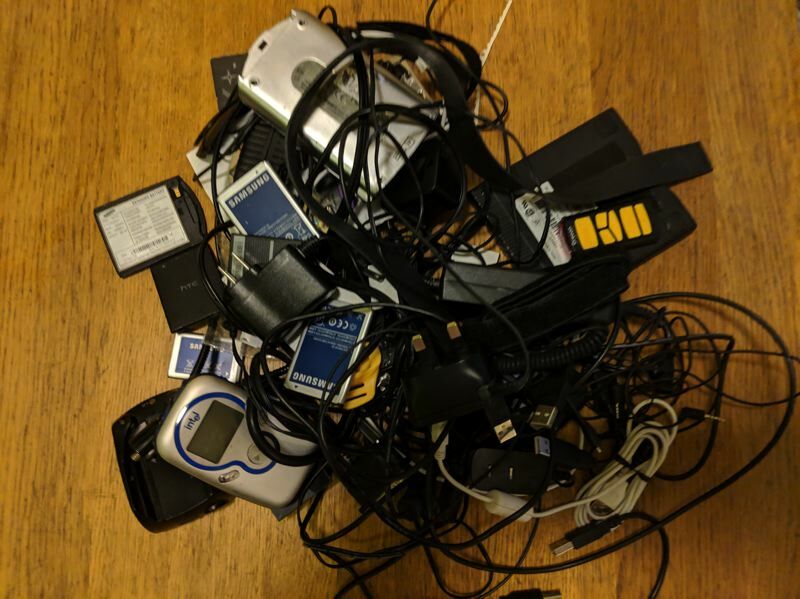 Having written about hoarders recently, I thought it time to tackle the Gordian knot of electronics cables and old gadgets that have been cluttering up my closet this last 20 years. 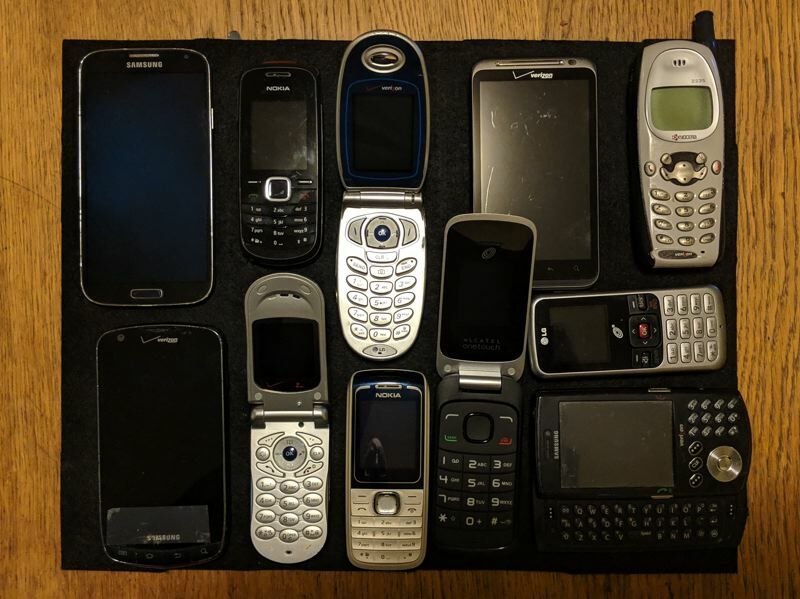 The main reason I hung on to most of them was because I wanted to make a cellphone museum in a shadow box, the same way people collect concert tickets, and I needed all the chargers. There was a Compaq iPaq Pocket PC, a sort of Palm Pilot by Windows. It had a stylus and could synch to a PC, and I loved it to death — until the screen stopped responding. There was the Modo, made by Scout, a sort of pager for getting up-to-date city information such as restaurant listings. It was Yelp before Yelp, and failed miserably. You were supposed to carry it around the LCD screen would light up with hot news. As the Wall Street Journal wrote in 2000: "Only months after the release of its first handheld device and the launch of its wireless city-guide service, Scout Electromedia has shut its doors. Scout, which has offices in San Francisco and New York, released Modo in New York two months ago, with the intention of eventually expanding to six cities nationwide. 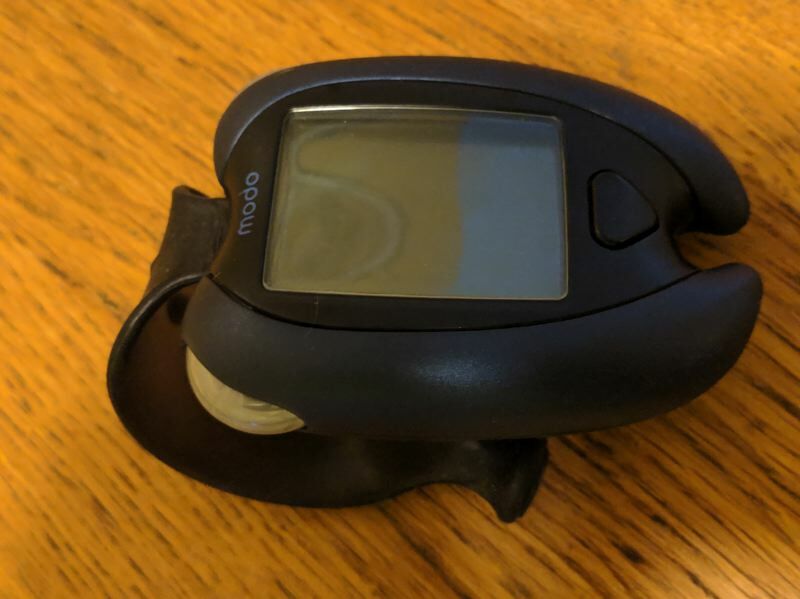 The $99 egg-shaped device was envisioned as a mobile city guide, with updates on new restaurants and city events beamed daily via the Modo.net wireless service. Modo was initially hyped as a hip alternative to handheld computers, and proof that wireless services were finally appealing to mass-market consumers." It had 80 employees and had raised about $22 million in funding, but apparently nobody wanted news on the go. Then there's the S Dongle, a small white box that plugs into the HDMI slot on the back of a TV. It was the Google Chromecast before there was Chromecast, and came with a little remote. It let you surf the web on TV. I held on to it for years despite having a Chromecast that I don't use wither. All TVs come with built-in ability to pick up Wi-Fi internet and stream apps and shows, so it's irrelevant. While I was reading about the S dongle I saw a headline on the Verge which looked vintage but in fact was from Nov. 4, 2018. "...We received news of a new Nook tablet from Barnes & Noble. The Nook 10.1" costs $129.99 and has the line's largest display ever at — you guessed it — 10.1 inches. ... it goes on sale on November 14th." Like the Verge reporter, I wasn't even sure Barnes & Noble hadn't been killed off by Amazon a decade ago, let alone that it was still making its digital book reader (which like the Kindle, is now filled with non-bookish distractions). the bane of my life. Every connector was slightly bigger than the next, or was asymmetric, or looked the same but produced a crunching sound when you plugged it in. Today in my household we only fight over Apple and Android chargers and the occasional aux cord. Things are definitely getting better, better being wireless. I predict in the future the only hardware we will need is Google Glass. I'll be taking this bag of trash to Free Geek, who will intercept it before it gets to the landfill. Who knows what they will do with the Modo. Maybe it will end up in a museum?